Most people think that the choice of dryer duct is not as important as the appliance itself. However, this is not the case. The type of duct that you pick will determine how efficiently and safely your machine will be able to work. In any case, there will be a need for professional cleaning from time to time, but how often depends on the quality of the product you choose. 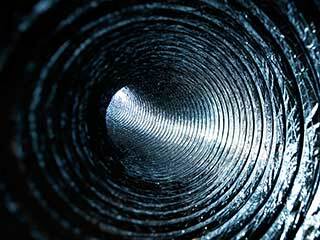 Let's compare the four main types of ducts suitable for the exhaust system of a dryer. Plastic ducts gained huge popularity shortly after their introduction to the market. They are light and durable at the same time. They are quite flexible, which makes them easy to install even in tight places and areas with a considerable number of turns. At the same time, these ducts have major disadvantages that should not be ignored. They have ribbed interior and exterior surfaces. This makes it easier for lint carried out by exhaust air to get built up inside. This means that the duct will be at higher risk of clogging and that more frequent exhaust cleaning will be required. Without it, the dryer will use more energy to work and the risk of a house fire will be much higher. Perhaps the most serious drawback of the plastic variety is that they are inflammable. That is why they are prohibited for use by the building codes of many areas. Ducts made from aluminum foil have the highest level of flexibility. They have good resistance to water damage as well. However, they can get easily damaged by mold and will bend from a powerful impact. In such cases, immediate repairs will be required. These types of components have the similarly ribbed structure their plastic counterparts have. This means that you can expect faster lint accumulation inside them. They are not flammable, however, which is a big plus as far as safety is concerned. Both of these duct types do not burn and have excellent durability. The semi-rigid ones are flexible and this makes them more versatile and easier to install. However, their ribbed design does allow for a higher rate of lint build-up. Rigid ducts are not flexible, but they have completely smooth interior and exterior surfaces. This reduces their rate of clogging to a minimum. This means that the dryer will enjoy higher efficiency, both in performance and in energy usage, as well as be safer to use. Contact our experts at Air Duct Cleaning San Ramon if you're looking to get a new dryer duct installed, or if you need professional cleaning services.